Somehow, I managed to get myself off track as far as my posting day, it keeps slipping further and further into the week! In an effort to get myself back on track, I will be splitting this topic in two, so if you like this one, be sure to look out for more on the same subject next week. I wanted to take this time to talk about myths and misconceptions. There are many of these surrounding Masonry, and while some are based in truth, more often than not they are way off base. Unfortunetly, it tends to be that popular culture, including movies (i.e. National Treasure), help perpetuate these myths, and people get the wrong idea about Freemasonry as a whole and what its all about. Depending on how much research they do before joining, this can also lead to some iniaties, and even Master Masons having incorrect notions about what goes on within Masonry. There are literally thousands of myths concerning Masonry, but over the next two weeks, I wanted to go over the most popular six. This is a big one, in fact, often the words Freemason and Illuminati are used interchangeably, along with shock terms such as “New World Order” and “lizard people”. Freemasons are not, and never have been, any part of the illuminati (or lizard people for that matter). 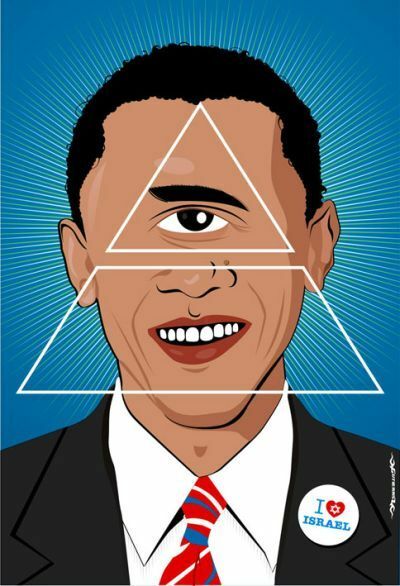 In fact, the Illuminati refers to several groups, many of which no longer exisit. Origionally, the Illuminati referred to the Bavarian Illuminati, a group formed in 1776, well after the beginnings of Freemasonry. Ironically, the group did their best to oust and prevent things like superstition, abuses of power, and the government purposely preventing all details of an event being known, more commonly known as obscurantism. The group did amass some power, and may have had a large hand in the French Revolution. They were forced underground in beginning in 1784, along with Freemasons and other “secret societies” . (Recall that Freemasonry was much more secretive during this time). They disbanded just before the 19th century, after many of their key leaders left, and most of their secret documents were seized and published. So, how does a group that hasn’t exisited for over 200 years get connected with Freemasonry? It seems that most of this happened around the time of the Morgan Affair, which in turn, caused the Anti-Masonic movement in the 1820’s and 30’s. This may have been in part due to a paper published by a member of the Illuminati titled “On the Influence Attributed to Philosophers, Free-Masons, and to the Illuminati on the Revolution of France.” They did take some cues from Freemasonry, hence the title. Many people think that Masonry is a religion, or that it takes over your current religion. This is simply untrue. I think that this idea comes from the fact that aspects of Freemasonry can mimick that of religion. Within any given religion, there are many rituals, such as kneeling, sitting, or bowing at certain times, as well as certain rituals used for different holidays. Much like religion, Masonry has many rituals within it, many of which are taken from various religions around the world, but most notably Judaism. Many people find comfort within the fellowship found after and before church services, and the same holds true for Freemasonry. Often you will see websites and people saying that Freemasons worship the devil (more on that next week), or that they worship a certain God. The truth is that any man who believes in a higher power can become a Mason, they do not have to be of one religion. In fact, God is often referred to as “The Grand Aritect of the Universe”, in order to make it more approachable to those that do not belong to a mainstream religion. A requirement to become a Mason that many people do not realize, is that one must believe in a higher power. An atheist cannot join regular, masculine Masonry. Many different jurisdictions word it differently, but the concept is the same. Beyond believing in a higher power, however, there is no further requirement. No one religion is required of a member (save for some of the higher orders of York Rite which require a member to be a Christian), and in fact, at the House of the Temple, the big headquarters of the Scottish Rite in Washington D.C., there is the holy book from every major religion in the world. Most Lodges simply use the Bible as their holy book, but an initiate may request that they take their oath on any holy book (this holds true for all appendant bodies), however in many cases they may need to supply their own. Many people also believe that the lessons taught in Masonry go against religions (usually cited as going against Christianity), however, the more you look into what Masonry teaches, you realize that the lessons actually go hand in hand with religion, specifically Christianity, and that many of the lessons and rituals are borrowed from Judaism. This myth is based on two incorrect notions. The first is that there is a centralized, global body that controls all of Masonry. I would hope that simply by reading this blog you know that this is not the case. Jurisdictions of Masonry vary by state to state, and country to country. In fact, simply because if there was, there would be no debate about whether women should be allowed to be Masons, or how to handle Prince Hall Masons. There is a centralized body for Scottish Rite, as well as for some of the other appendant bodies, but not all Masons choose to join them. It always makes me giggle when I think of the amount of coordination government control would take, which is something the Masonic bodies can struggle with. I’ve heard 20 minute arguments about when to hold a pancake breakfast. Heck, it took T and others three years for Masons in our state to agree to raise the dues $1.50 to benefit their own youth groups. The point is, this organization simply does not exist. Without its existence, the rest of the myth tends to crumble. The other idea that this myth is based on, is the 33rd degree of the Scottish Rite. Something you will hear a lot of conspiracy theorists say is that nothing is fully revealed until you receive the 33rd degree. I think that a lot of this comes from the fact that the 33rd degree is not given out that often. It is an honorary degree given to a member who has gone above and beyond for the organization. It is also the “highest” numbered degree that a member can obtain. (The quotes are because it is often said that nothing should be held higher than the third, or Master Mason degree.) Masons who attempt to refute the myth may be told that they don’t know what’s really going on because they have not yet been chosen to receive the degree. It’s silly really, the 33rd degree is not too different from the 32nd, and the 32nd from the 31st and so on and so forth. Don’t let anyone tell you otherwise. You also may hear people say that they are a 97th level Mason, these people claim that there are “hidden” degree beyond the 33rd. Often, these people either have no idea what they are talking about, or are members of a clandestine Lodge. If you enjoyed this article, please be sure and check out next week’s, where we will be going over three more Masonic myths. Have a great week!